About 1 minute and 38 seconds reading time for this 179 word page. 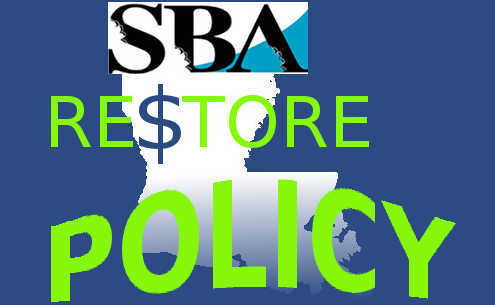 The Declined SBA Award Policy is published on Page 52 of the Homeowners Assistance Manual version 3.1. 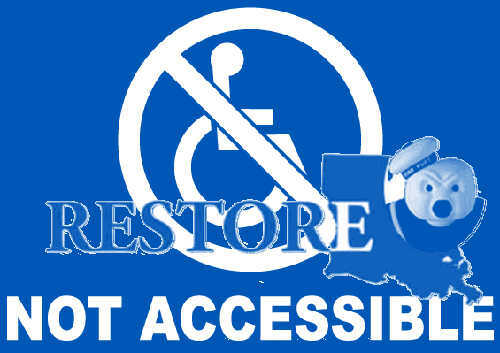 This has been confirmed with DOA as being what Restore.LA.Gov uses to determine if a homeowner will be penalized for not accepting the SBA loan offered. The "Declined SBA Award Policy" is found on page 52 of the manual you refer to in your email below. "Applicants who have applied for an SBA loan but have a record of declining the loan or have not executed the SBA loan may be considered for RLHP funding, but awards will be adjusted to account for any SBA DOB. If a low to moderate income (LMI) household has declined an SBA loan, a hardship will be presumed and the SBA loan will not be considered a duplication of benefit. 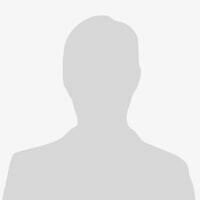 SBA loan declination is defined as an applicant having never executed the SBA loan documents." 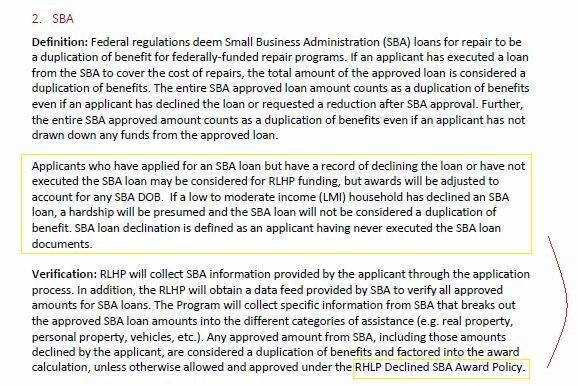 When the "verification" paragraph states: RHLP Declined SBA Award Policy - it is referring to the paragraph above it in the manual (see snip image below).